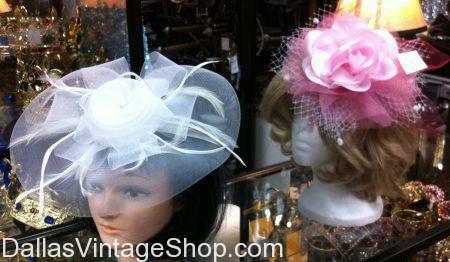 At Dallas Vintage Shop we bring you the best whimsey hats and fascinators that are victorian or modern styles from the 1800's, 1930's, 1940's, 1960's, 1980's or Now. This entry is filed under Derby Dame Hats, Hats Ladies, Kentucky Derby. You can follow any responses to this entry through the RSS 2.0 feed. Both comments and pings are currently closed.